Jack Byrne has been rewarded for his fine form at club level by being drafted into the Republic of Ireland squad for the UEFA Euro 2020 qualifiers against Gibraltar and Georgia. 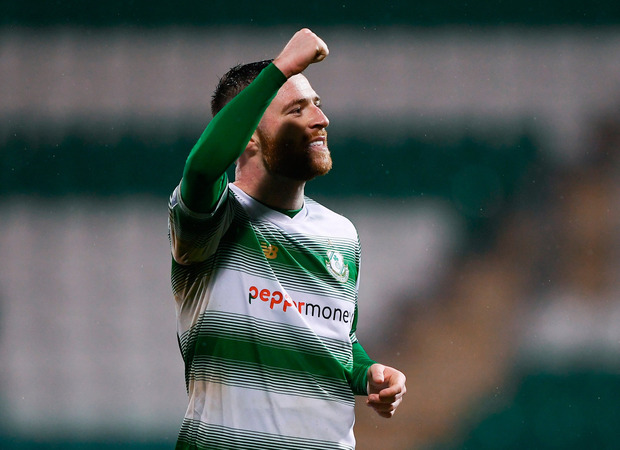 The Shamrock Rovers midfielder was watched by Ireland boss, Mick McCarthy on Friday night as he capped a fine performance with a stunning goal in the Hoops' 3-0 win over Sligho Rovers that saw them remain top of the table. Here it is 🙌 @Jackb_8 strike to make it 3-0 tonight. Byrne replaces Bristol City's Callum O'Dowda who was ruled out by a knee injury after being assessed by FAI medical staff on his arrival in Dublin. Kevin Long and Josh Cullen have already reported for duty after replacing Alan Browne and Ronan Curtis who O'Dowda now joins on the injury list. The 22-year-old Byrne came through the rankls at Manchester City and had spells with Cambuur in Holland and Blackburn, Wigan, Oldham and Kilmarnock before signing for Shamrock Rovers in December.